With the grand amount of space available to today’s hunters, using a GPS device can help hunters successfully emerge from the woods with an enviable trophy. Now that there are so many devices with special features available at a variety of price points, finding the best handheld GPS for hunting has become a complex process. Our goal is to make the process easier so you can find the perfect GPS that has the features you want an affordable price. We want to take the mystery out of choosing the best product for your goals. 1 What does GPS do? 4 How to Power a GPS Device? 5 How Much Memory Does a Handheld GPS for Hunting Need? 6 What Brands Make the Best GPS Devices? The best handheld GPS for hunting includes a variety of desirable features, but the most important feature is the actual GPS unit itself. GPS stands for Global Positioning System which uses satellites that include atomic clocks that send out their time and location. The GPS unit receives information from several satellites and uses that information to find the location of the device. Handheld GPS systems have small screens that display the location on a map. Most GPS units lock onto at least four satellites and the more they lock onto, the more accurate the map location is. In today’s tech-heavy world, smartphones come with location settings, but these rely on cell phone towers, not GPS satellites. Using a smartphone out in the wilderness is not a reliable way to determine location because of the lack of cell towers. A GPS device is a better choice, because the satellites can locate anyone on Earth who has a working device. While hunting in the wilderness, handheld GPS reviews show that these devices work significantly better than any smart phone. Handheld GPS devices come in a variety of sizes from pocket-watch size to slightly larger than smartphones. The least expensive models are those that are about the size of a watch and they simply help hunters locate their camps and their blinds. They do very little else, simply because they are so small. Some might include elevation and weather conditions. These small devices are usually sold for around $100. The majority of GPS devices are the same size as smartphones. They are usually a bit thicker with smaller screens. Most GPS devices do not have the same quality graphics as smartphones, but they have gotten better over the years with touch screens and maps that move with you. The maps include more details to make it easier to read and to locate landmarks. Some of these small devices also offer options for users to add landmarks. There are also devices that allow users to take pictures and video and add those to maps. The GPS devices with more features can be priced well over $500. Some of the devices that allow users to send and receive texts can be priced around $300. Another type of the best GPS for hunting is related to the walkie-talkie, but these are not the same walkie-talkies that kids used while playing hide-and-seek. These high-tech GPS units allow users to communicate with each other with a two-way radio. The radios include everything you need to understand and analyze your location and conditions. Features like a NOAA weather radio, barometer, and a quality touch screen make these GPS walkie-talkies rather amazing. You can also use your GPS to find deer, check the video for ideas. This little handheld GPS unit has a beautiful screen that is easy to see in the brightest sunlight. It uses GPS and GLONASS satellites for the most precise locating. It comes with over 100,000 topographical maps of the US. These maps allow you to zoom in and out and rotate the maps so you can full interact with them. The touchscreen maps work with many types of outdoor gloves, too. The GPS unit has an 8-megapixel camera with zoom, flash, and customizable options that include geotagging. It has 4GB of memory and uses a rechargeable battery pack and/or AA batteries. Not only does this GPS device work flawlessly in the wilderness for hunting trips, but you can also use it for fun geocaching expeditions. It comes with an AC adapter and a carabiner clip for convenience. This little GPS unit comes in several versions, from the base model to the highly upgraded 3-axis model with an altimeter. The unit is truly designed for families and individuals who love to geocache and use GPX files to find treasures. The device shows the difficulty of the terrain with the location and description. The unit accurately shows your position by using GPS and the speedy GLONASS satellites, along with HotFix prediction techniques. The eTrex is durable and has a large 2.2-inch display with full color. It is waterproof and uses two AA batteries. This little unit is kid-friendly. It requires the use of Garmin’s Basecamp program to plan adventures and to load needed maps. 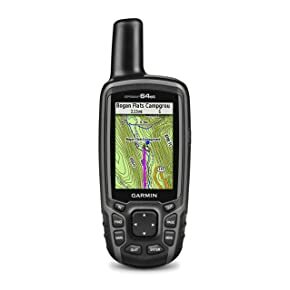 The Garmin GPSMAP 64st is a small unit that relies on GPS and GLONASS satellites for precise positioning using a small quad helix antenna. The bright and colorful screen measures 2.6” so you can easily see the topography of your location. There is no need to upload maps and plan adventures in advance because the device comes with preloaded maps. With 8GB of memory, you can easily save plenty of routes and mark your locations. There is also a slot for a microSD card for added memory. The unit also comes with 250,000 geocaches so you can enjoy some hunting for treasures, too. For those moments when you want to go low-tech, you can use the 3-axis compass and turn off the GPS. It also has Bluetooth connectivity. 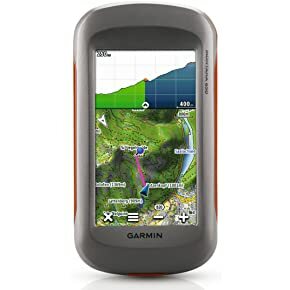 The Garmin Montana 650 is one of the most popular handheld GPS devices on the market. It has a large four-inch screen that works with several brands and models of gloves. It also has a camera with autofocus and 5 megapixels. It comes with preloaded topographic maps, but with the Basecamp app, it is easy to upload maps that can be used for driving navigation, trail hikes, and water charts. There are several high quality mounts that let you place the Montana 650 on your bike, boat, or car. It uses both GPS and GLONASS satellites and the 3-axis compass includes a barometric altimeter if you ever feel the need to truly go off the grid. It has two power options: AA batteries and/or the rechargeable lithium-ion batteries that come standard with the unit. All the photos are geotagged so you never have to worry about keeping track of the snapshots you capture. You can also easily load geocaching maps. 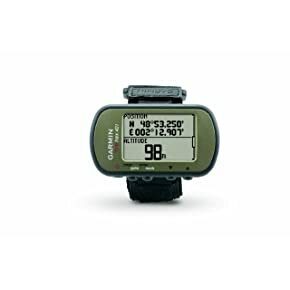 If you are looking for a hands-free handheld device, the Garmin Foretrex 401 gets the job done well. This small device is on a wrist strap, so you can always see where you are going while keeping your hands available for those tough hiking situations. It uses GPS satellite and HotFix to accurately locate your position. You can be found in thick foliage and even canyons. The device has a feature called TracBack that lets you retrace your steps back to your basecamp. The LCD screen is easy to read despite its small size. The device weighs 3.1 ounces. The screen displays a trip computer, information for hunting and fishing, as well as a compass and barometric altimeter. It is waterproof up to one meter in depth and it does have a USB port for loading maps. Hunters and hikers are not the only people who appreciate a good GPS device. Golfers actually love using GPS devices to help them understand the topography of their favorite courses. 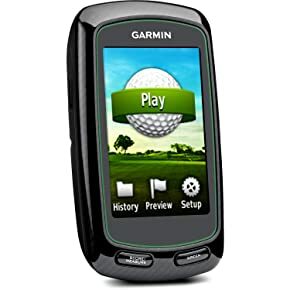 The Garmin Approach G6 is designed specifically for golfers and comes with more than 25,000 courses preloaded. Golfers can easily use the touchscreen without having to take off their gloves. The color touchscreen shares views of the green and it allows you to keep your own score. You can track your stats and it helps you figure out how far you need to hit the ball to get to the green. The unit comes with an AC adaptor for charging and a USB cable to upload more courses. You can easily attach it to your golf bag or your belt loops with the included belt clip. It also has an easy-to-read manual. It also includes rechargeable lithium-ion batteries. 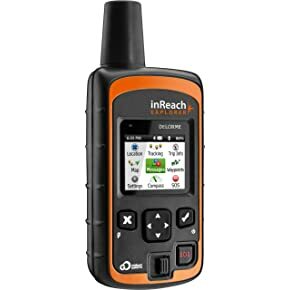 It is easy to get away from everything and get back home again with the DeLorme InReach Explorer. There is a basic version of this unit as well as one that is loaded with navigation features. With this unit, you can use the on-screen map for all necessities. You can get your bearings using the digital compass, accelerometer, and altimeter. It is also easy to plan and share the route you want to take and your friends and family can watch you step by step along the way. This device unit also allows you to communicate via text that includes your coordinates, so you never can get lost. You can also post your status on social media with the DeLorme InReach. If necessary, you can use the device to send an SOS signal and communicate with the DeLorme search and rescue department. The rechargeable battery requires a USB cable to keep the batteries working. How to Power a GPS Device? Something else that is important to consider with a GPS device is the amount of battery it has. 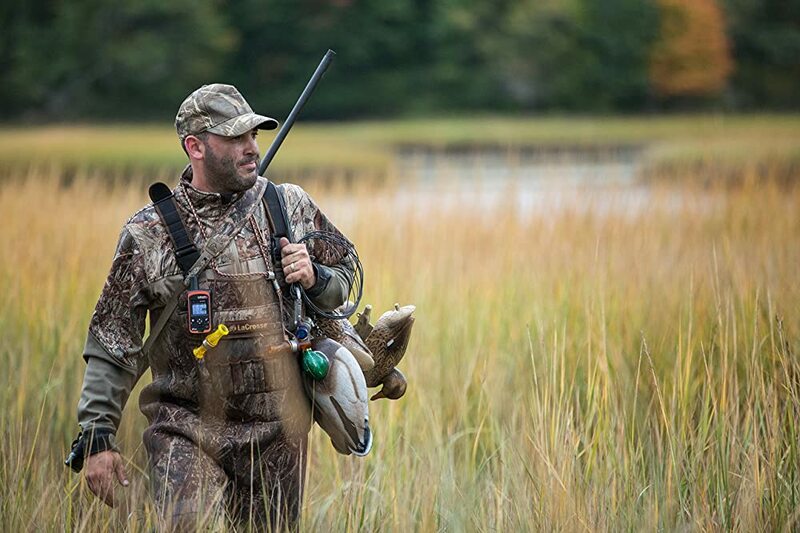 The best handheld GPS for hunting includes a battery life that extends over 12 hours. Because the people who are using GPS devices for hunting usually do not have access to electricity and charging stations, handheld GPS devices use batteries. In most cases, they are simple AA batteries that are easy to take on the expedition. If the GPS device is used appropriately and is only turned on when needed, two AA batteries are usually all that is needed. But, it is always a good idea to bring a backup supply. How Much Memory Does a Handheld GPS for Hunting Need? Another important consideration with a GPS device is the memory. Being able to use the information from the satellite is key to the success of the unit. Therefore, the best GPS for hunting need to have a minimum of 24 MB to function properly. There are some units that have memory cards that can be added. If you choose a device that shoots photos or videos, it is a good idea to invest in a memory card or to purchase a GPS with serious memory. If you are only using the GPS for maps, then less memory will be required for effective use. Like a new technology, there is a learning curve. The maps do not look like the ones you find on your phone. They are often topographical and simple in form. If you do not know what you are doing, you will quickly get lost. Therefore, it is wise to use the GPS a few times before you head out into the unknown wilderness. Take it on a small hike in an area you know well so you can see what it looks like in certain terrain. You will eventually understand the images you see so you can emerge from the woods in the same condition that you entered. What Brands Make the Best GPS Devices? There a few companies that specialize in making GPS devices. The two best-known names are Garmin and Magellan. 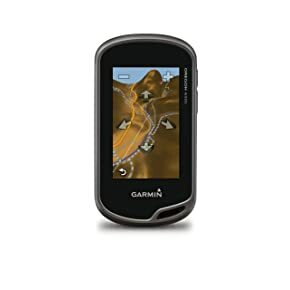 Garmin makes handheld GPS units in all sizes, shapes, and prices ranges. They all have different features and the company has a useful website that allows owners to update their devices. Magellan is another brand that is well-known in the world of GPS units; the company makes everything from units for the car to fitness bands. Bushnell is a recognized brand, too. You may have heard of their binoculars but the company has diversified into the GPS marketplace. Lowrance and DeLorme also make quality handheld GPS products. When it comes to choosing the best handheld GPS for hunting, some models are better than the others. Out of this list of seven options, there is a clear winner. 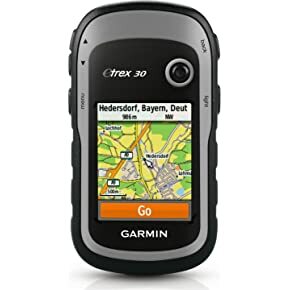 Despite the fact that it does not come with a color screen, the Garmin Foretrex 401 is a top choice for hunting. The hands-free device is easy to wear and it includes several features that will help you get to your favorite place in the woods and back again. If it is good enough for military use, it is good enough for hunting. However, if you want a GPS device that can take photographs, the Garmin Montana is by far the best option. It is an expensive device, but it comes fully loaded with more maps that you could ever use and the camera will let you capture your favorite moments in the wild. The Montana has plenty of memory so you can save your routes and the photos. They both access the GPS and GLONASS for precise locations, too. Both models have satisfactory battery life, with the Foretrex lasting a bit longer because it requires less juice to power it. Great for anyone who fishes to mark and track all their favorite fishing holes. GPS device is a must if you are planning to go hiking. It is definitely a good alternative than bringing a map and a compass. However, it should be fully charged always so that you will not run out of juice while you are already in the wild. Overall, it is one of the best devices for every hiker and hunter.